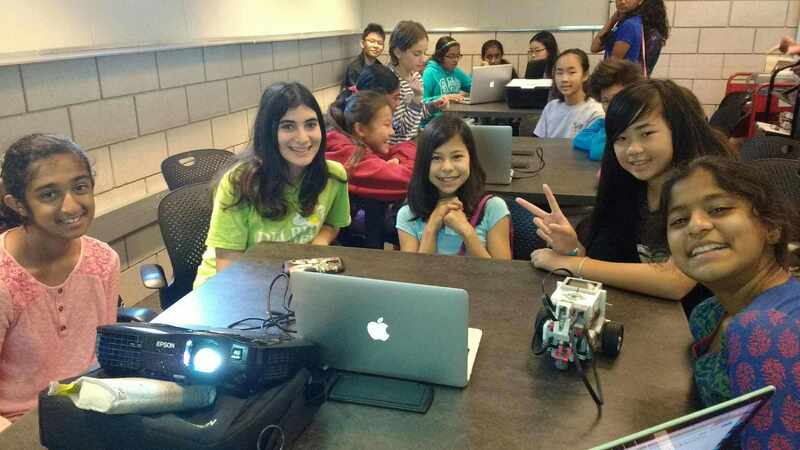 Junior Anooshree Sengupta recently led her first WonderBots! program, which she spearheaded to foster interest in technology among local girls in grades 5-8. Designed by Sengupta and Harker computer science chair Eric Nelson, WonderBots! was supported by a grant from AspireIT, an outreach program organized by the National Center for Women and Information Technology. Sengupta won an Aspirations in Computing Award from NCWIT in March 2016. “The program just concluded, and was very successful, with 80 girls applying for 20 spots,” Sengupta said. Eight two-hour classes were held from October through early December at the West Valley branch of the San Jose Public Library. Attendees engaged with technology by learning how to build and program robots following the CMU (Carnegie Mellon University) Lego Robotics curriculum. Sengupta hopes to encourage more interest in technology among girls, who account for more than half of all AP test-takers and nearly half of all students taking AP Calculus exams. By contrast, girls make up only 22 percent of AP computer science test-takers, a number that Sengupta aspires to increase with the WonderBots! program. The success of the initial program has motivated Sengupta to consider expanding the next series of classes to more branches in the San Jose Public Library system this year.